Hello again from The Flaming Nose after a long, long hiatus. We'd like to welcome back a new year of FN posts by featuring Black Wings, a fantastic one hour documentary which is running now on the Smithsonian cable channel as well as streaming on the Smithsonian Website. "Black Wings" is the riveting story of African American aviators. 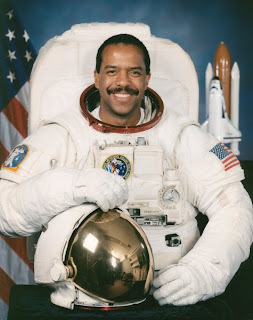 It showcases the pioneers who paved the way during times when segregation made their dreams seem impossible...and those who continue the dream today as astronauts in the NASA space program. 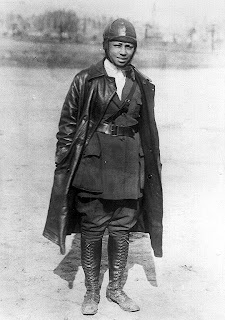 This exceptional documentary opens with the early days of aviation, when barnstorming African American dare devil Bessie Coleman flew stunt planes in the 1930's. A brave, gorgeous woman who wouldn't take no for an answer, this pioneer was a true American hero, and few have ever heard of her. Maybe this special will change that. "Black Wings" also features stories about African American trail blazers who are continuing to inspire young Americans with the glory of flight today...like helicopter pilot Robin Petgrave. His Los Angeles non-profit (Tomorrow's Aeronautical Museum) is showing inner city kids how to fly. From barnstorming bi-plane pilots to military heros like the Tuskegee Airmen, to NASA astronauts like Bernard Harris, the first African American space walker...this special is an exciting triumph for anyone who loves history and aviation. Be sure to hunt for it on the Smithsonian channel. It will air again on February 4th at 7pm and you can click the link above to watch it stream on their website. Black Wings has been nominated for an NAACP Image Award. Watch and root for it to win on the Image Award telecast, NBC on February 1st!